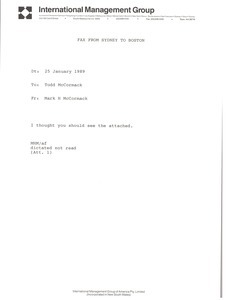 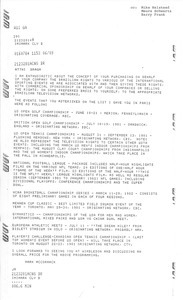 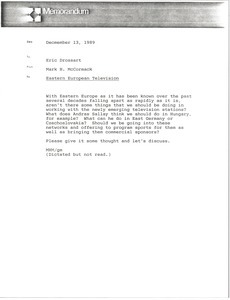 A Telex prinotuts concerning Braga purchasing the Brazilian television rights to various international sporting events, McCormack lists the events that Braga noted during their discussion in Paris. 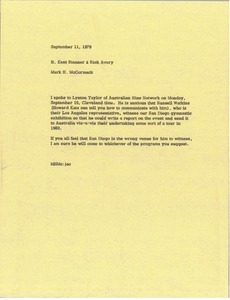 Lynton Taylor of Australian Nine Network is anxious for Russel Watkins, Nine Network's representative in Los Angeles, to witness the San Diego gymnastic exhibition. 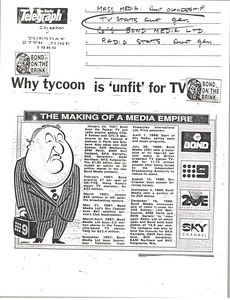 Taylor wants Watkins to write a report on it which Australian Nine Network could use for ideas in undertaking a tour in 1980. 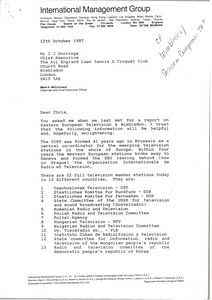 Thailand - Concerning television in Thailand. 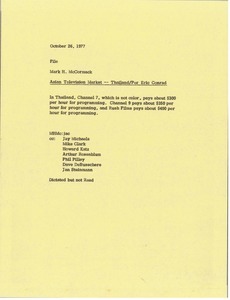 McCormack notes the cost per hour for programming on their color and black and white channels and notes the amount Rush films pays. 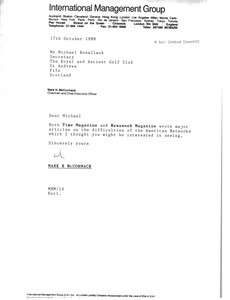 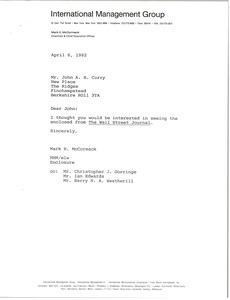 McCormack writes to Micheal Bonallack of the Royal and Ancient Golf Club and John Curry of the All England Club regarding the attached articles from Time Magazine an Newsweek Magazine about the difficulties of American television networks. 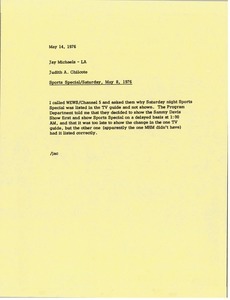 Concerning the attached articles about the High School Television Network and a letter from Michael P. Milkovich.